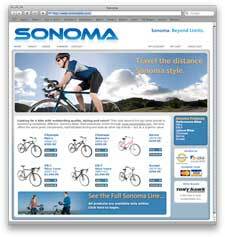 Is there finally a market for online bike sales? Many have tried and failed with various strategies – I met a fellow roadie who was riding an Airborne a couple weeks ago. I’m thinking, probably and you can bet the purchasers will take those to their local IBD. Dynacraft SRG also markets Tony Hawk’s Huckjam Bikes.